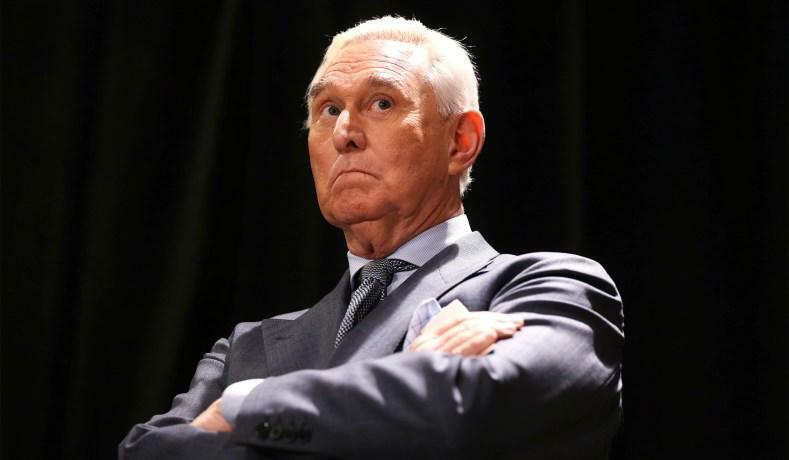 Special Counsel Robert Mueller’s indictment of Roger Stone may be the most peculiar document to emerge from the Trump–Russia “collusion” saga. It is an instant classic in the Mueller genre: lots of heavy breathing, then sputtering anti-climax. After a 20-page narrative about Russian cyber-ops, WikiLeaks’ role as a witting anti-American accomplice, and Trump supporters enthralled by thousands of hacked Democratic emails and visions of the Clinton campaign’s implosion, Stone, a comically inept hanger-on, ends up charged with seven process crimes. No espionage, no conspiracy, no commission of any crime until the investigations started. That said, the case is overcharged. The tampering count carries a 20-year penalty. Adding an obstruction or false-statements count (five years each) would have given Stone (who is 66 years old) prison exposure of up to 25 years. The most central “colluder” in the Mueller firmament to be bagged so far, George Papadopoulos, was sentenced to a grand total of two weeks’ imprisonment. Surely a quarter-century of “potential” incarceration would have sufficed to give prosecutors the “this is serious stuff” headline they crave while allowing for the more representative sentence Stone will eventually receive — who knows, maybe three weeks? But true to form, Mueller instead included six of these five-year counts — so the press can report that Stone faces up to 50 years in the slammer. This inflated portrait of Stone as a major criminal was further bloated by the scene of his arrest: a well-armed battalion of FBI agents sent to apprehend him as the media, conveniently on hand at 6 a.m., took it all in. But Stone is just a cameo. The big picture is the overarching Trump–Russia investigation. It’s still being inflated, too. Prosecutors ordinarily do not write an elaborate narrative about crimes they cannot prove. Here, though, Mueller uses Stone as the pretext to spell out the Big Collusion Scheme: Candidate Donald Trump instructs Stone to coordinate with WikiLeaks on the dissemination of Clinton dirt stolen by Russia; Stone directs his associate, Jerome Corsi, to have Corsi’s man in London, Ted Malloch, make contact with WikiLeaks chief Julian Assange, who is holed up at the Ecuadorian embassy in London. Malloch must have succeeded, because next thing you know, Corsi is reporting back to Stone: Our friends the Russian hackers have given WikiLeaks all this damaging information on Hillary, including the Podesta emails; it will all be rolled out in October, right before the election. It’s a sensational story. Only . . . it’s just a story. Mueller doesn’t even pretend he can prove it. No shame in that: During a long investigation, prosecutors always develop a theory of the case. Often, the hypothesis doesn’t pan out. No problem. You narrow your indictment down to what you can prove and call it a day. In Stone’s case, that would dictate omitting the ambitious collusion narrative and stripping down to a two-page obstruction-of-Congress indictment. Instead, Mueller gives us the fever dream: Stone as a key cog in the collusion wheel. Where reality intrudes, the prosecutors float suggestions they cannot prove or leave out key details that blow up the narrative. The special counsel could have contented himself with easy-to-prove false-statements charges against Stone: lying about whether his WikiLeaks communications were documented in writing; lying about whether he asked his friend Randy Credico to pass a request for specific Hillary Clinton information to Assange; lying about whether he ever told the Trump campaign about his WikiLeaks conversations with Credico. But no, Mueller strains to accuse Stone of falsely denying that he had a second WikiLeaks “intermediary” — whom the indictment indicates was Jerome Corsi, Stone’s Infowars associate. Depending on how charitable you want to be, this claim is either risibly weak, flatly wrong, or dependent on a distortion of the word “intermediary.” To repeat, the “intermediary” thread adds nothing to the case against Stone. It is a pretext for weaving the collusion narrative without having to prove it. To amplify the indictment a bit with reporting by the Daily Caller’s Chuck Ross, Credico — a left-wing comedian and radio host — got access to Assange through a radical lawyer, Margaret Ratner Kunstler, who has done work for WikiLeaks. That apparently did not happen until shortly before August 25, 2016, when Assange appeared as a guest on Credico’s radio show. According to the indictment, Credico first texted Stone about Assange’s imminent appearance on August 19. If not from Credico, from whom, pray tell, did Stone learn what WikiLeaks was up to? Who is the other intermediary? In truth, he didn’t need one. He had two sources of information about WikiLeaks — neither of them Corsi, neither of them sensibly thought of as an “intermediary.” These sources go unmentioned in the indictment. Worse, while the prosecutors finger Corsi as Stone’s hidden “intermediary,” their evidence does not support this claim — and they know it, so they fudge it. Let’s start with the two sources Mueller omits. Turns out it is not just Stone who was alerted long before the Democratic convention that WikiLeaks might have damaging information on Clinton. Everyone on the planet who cared to be informed about such things knew. On June 12, 2016, in an interview that was widely reported, Assange said that WikiLeaks planned to expose documents relating to Hillary Clinton that could affect the 2016 election. Was Stone, the self-styled dark-politics devotee, pressing sources for an entrée into WikiLeaks? Sure he was. But that doesn’t mean he had one. And he didn’t need one in order to direct the Trump campaign’s attention to WikiLeaks; Assange was calling the world’s attention to himself. The second omitted source? It was James Rosen, then a top reporter at Fox News — though Rosen seems to have had no idea he was playing that role. To understand what happened, we need to consider the July 25 Stone–Corsi email that the indictment treats like a smoking gun — but consider it in the context of an earlier July 25 email that the indictment fails to include. As noted above, on July 22, someone very high up in the Trump campaign — perhaps the candidate himself, though we are not told — ordered a top campaign official to reach out to Stone. Just three days later, Stone sent Corsi an email with the subject line “Get to [Assange].” Stone exhorted Corsi to try to reach the WikiLeaks leader “at Ecuadorian Embassy in London and get the pending emails . . . they deal with the [Clinton] Foundation allegedly” (emphasis added). So why did Stone believe WikiLeaks had Clinton Foundation documents? Well, Stone is acquainted with Charles Ortel, an investor who dabbles in investigative journalism and has focused intently on the Clinton Foundation. Ortel has occasional correspondence with James Rosen. In an email exchange on July 25, Rosen told Ortel, “Am told WikiLeaks will be doing a massive dump of HRC emails related to the CF [i.e., the Clinton Foundation] in September.” Ortel proceeded to forward this email to Stone. Only after seeing Rosen’s email did Stone contact Corsi to say that Assange “allegedly” had Clinton Foundation emails that Corsi should try to acquire. Obviously, Stone did not need a WikiLeaks intermediary to give him a heads-up about a possible Clinton Foundation dump. He happened upon that information indirectly from a member of the press (Rosen), through an acquaintance (Ortel). And he did not need Corsi as an intermediary — Stone is the one who alerted Corsi, not the other way around. Well, did that happen? Did Corsi’s man Malloch make contact with WikiLeaks? Time to let more than [Podesta] to be exposed as in bed w enemy if they are not ready to drop HRC [Clinton]. That appears to be game hackers are now about. Would not hurt to start suggesting HRC old, memory bad, has stroke — neither he nor she well. I expect that much of next dump focus, setting stage for foundation debacle. The implication is clear: Malloch must have reached Assange, gotten the critical information, and passed it along to Corsi so it could be communicated to Stone and the Trump campaign. Corsi is the intermediary! Coordination! Collusion! But Mueller is hiding the ball again. The indictment makes no mention of the facts that Malloch denies knowing anything about WikiLeaks, that Corsi denies having any sources with inside knowledge about WikiLeaks, and that prosecutors appear to accept these denials. Corsi is another strange character in this drama. He is a notorious bomb-thrower, and his memory is spotty. But one can understand why the special counsel seems to accept his story about not having a WikiLeaks source: His information was spectacularly wrong. He surmised that Assange would release information that Mrs. Clinton and her husband, former president Bill Clinton, had serious medical problems; this would be a prelude to devastating disclosures about the Clinton Foundation. Corsi’s fever dream never came true, either. But how can Corsi have been Stone’s intermediary to WikiLeaks if he had no way of obtaining confidential information from WikiLeaks? Stone, meantime, points out that neither he nor Corsi made reference to Podesta’s emails. He denies any awareness that Assange had them, and plausibly contends that the reference to Podesta in his conversation with Corsi (and in his later tweet on August 21 that “the Podesta’s [sic] in the barrel” was coming) related to a lobbying company started by John Podesta and his brother Tony. That company had done work for the same Kremlin-backed Ukrainian political party served by Paul Manafort — Trump’s campaign manager, and Stone’s former business partner. It was at the very time when Stone and Corsi were discussing WikiLeaks and Podesta that a July 31 New York Times exposé appeared, outlining Manafort’s lobbying entanglements with these Ukrainians. Tellingly, Mueller does not contend that Stone’s denial of foreknowledge about WikiLeaks’ Podesta dump is false. Again, understand: It is not just that Mueller can’t prove Corsi was Stone’s intermediary. Mueller has no need to try to prove it. He has an overwhelming obstruction and witness-tampering case against Stone without it. The indictment’s “intermediary” plot line is just a device for prosecutors to spin the Trump–Russia–WikiLeaks collusion yarn. They are careful not to plead it in a conspiracy count; just an “introductory” narrative — no formal charge, no burden to prove it, and no need to reveal stubborn facts that undermine it. Since it is superfluous to the process charges against Stone, he may not even challenge it. Maybe he will plead guilty, and the narrative will stand as the government’s unrebutted version of events. And this is just the indictment of a bit player. Makes you look forward to the special counsel’s final report, no?